Montana's *Meadow Lake Golf and Ski Resort* is located just minutes from Big Mountain at Whitefish, Glacier National Park and Flathead Lake! The resort features hotel, condominium and vacation home accommodations as well as a recreation center with pools, spas, fitness room, on-site massage therapist, and ping-pong and pool tables. Golf the championship 18-hole course, and be sure to stop at the North Fork Grille to watch the beautiful Sunset on the patio. Discover the best that Montana has to offer at Meadow Lake Golf and Ski Resort! Discover more by visiting www.meadowlake.com. 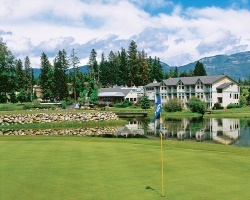 *RCI Gold Crown Resort* Featuring a finely appointed 2 bedroom, 2 bath suite that will accommodate 8 guests comfortably. Usage is triannual with 3 floating weeks per year. For more information or to make an offer, please submit the inquiry form.